We offer finest range of Stacking Deoli Green panels that is skillfully crafted and designed in various patterns and colors. These panels are developed by pasting machine cut slate stone of uneven thickness & sizes on fiber glass mesh using quality epoxy resin. Highly durable, these panels give an elegant look to the landscape and concrete structures. 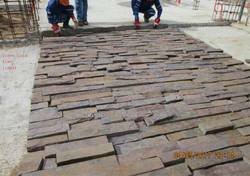 Our company holds vast experience in this domain and is involved in offering Black Rriver Stacked Stone. Being one of the renowned firms in the industry, we are decidedly involved in providing a high-quality array of Dry Stack Wall Stone. Running with an aim to meet the different needs our valued clients, we are betrothed in providing world class Stacking Stone. Jay Narayan Marble Stone Co.
We are successfully engaged in offering a wide gamut of Graphite Quick Stack Stone. We are reputed name in the industry, delivering attractively designed range of Marble Stacked Stone that are creatively designed and ensures enchanting patterns. Our entire product range reflects intricate artwork of our designers and can be easily settled as per the clients’ preferences. 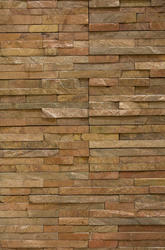 Owing to devoted experts, we have been competent to present a wide range of Stacked Stone.